32mm Precision Rolled Ball Screws & Related Prods. How do we compute travel for a ballscrew? First, let's define what we mean by travel. We define that as how far the ball nut can move on the screw before it encounters the machining at either end or gets to where it the ball nut will run out beyond the ball screw (if the ends of the screw are just cutt off). In either case, when the ball nut gets to those points, ball bearings will fall out or jump the ball circuits, and that's not good news. You NEVER want to move the ball nut that far toward the ends. So back to the question of travel...we take the overall length of the screw and then subtract the amount of machining (in mm) at each end and then also subtract the length of the ball nut itself. That gives an idea of the travel distance the nut can go. Or to put it another way, that's the maximum distance a load/work attached to the ball nut can move. We always recommend a margin of safety because you don't want things figured so closely that the ball nut could crash into your machine frame or end supports. Figure on 25mm minimum added to your actual travel to ensure that this won't happen. We offer complete technical support for our ball screws and related products including CAD drawings and models for most items. Please access the links in the right column to find out more about our full line. Need custom screws in any size? We can usually provide exactly what you need (including machining) in about three weeks. Access our HELP form and include details about your requirement. 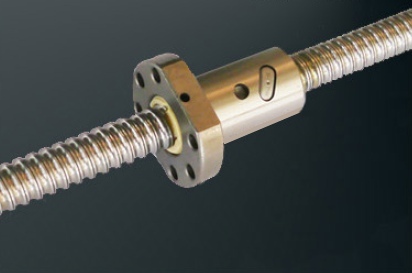 Learn lots more about our rolled ball screws and related products by accessing links below. CLICK HERE to view PDF technical info for rolled ball screws and related products. CLICK HERE to find out more about our high-quality and reasonably-priced ball screw end supports. We offer a broad range of sizes. 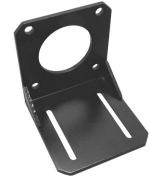 CLICK HERE to learn more about ball nut brackets that make it simple to connect a ball screw to the work you need to move. CLICK HERE to learn about our MBA motor brackets that make it a snap to connect a servo/stepper motor with a ball screw & supports. CLICK HERE to learn about our ECONOMICAL motor brackets for standard NEMA 17, 23 and 34 size motors. CLICK HERE to learn more about our economical yet robust stainless steel DR1-C line of flexible shaft couplings.